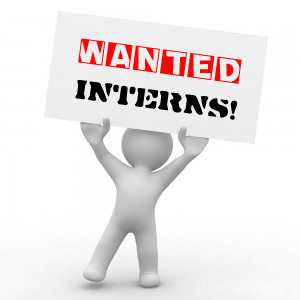 #intern: A sad reflection on modern employment? | One year, one job. How does Twitter feel about internships? Having settled back into life post-university, I’ve very quickly realised I am likely to be pretty bored over the next four weeks before I head off on my travels. As such, I decided to see what opportunities were out there to try and find a last minute internship/some temping/any sort of work experience that might make my days a bit more exciting. Being me, I took to social media to try and find opportunities and have spent a lot of the day with several tabs open following a search stream for ‘intern’, ‘work experience’, ‘internship’ and ‘social media jobs’. Whilst the latter was as expected, with adverts from recruiters searching for new employees, I was surprised by the kind of tweets that could be found containing the other three words. Ok, so young people on Twitter don’t seem to be the biggest fans of real life work experience which gets their foot in the door. When I was in Year 12 I arranged for a week’s placement in Sales & Marketing at the National Magazine Company (now Hearst) and had an amazing time soaking up knowledge from those around me. Similar tweets could be found with a search of ‘intern’ however this time I was more surprised to see tweets from staff moaning about interns in their offices. For example, Where the hell is my intern?! There’s work that needs to be done dammit or the more jovial Argh! The intern I’m managing drinks those evil vitamin water concoctions! Oh dear. This doesn’t look good for her reference…. First day of intern: they had no work to give me lol. – This has happened to me (minus the lol) and it is a bit annoying – especially on your first day. If a company wants to take on an intern then they need to be sure the experience will be beneficial for both the intern and the company, if one side isn’t going to gain anything from it then it’s not really worth it for anyone. Great that the Independent is advertising an internship but unpaid for 11 weeks in London – excludes all but those with well to do parents – This is one of a series of tweets I’ve seen floating about today after the Independent advertised for a three month unpaid intern. I don’t want to delve too deeply into the unpaid internship argument here, but it’s safe to say the general feeling on Twitter today is that this is a very bad move by the Independent who’ve previously published a guide of how to make the most of an unpaid internship. If you are looking for someone extra in your office over the next few weeks, please take a look at my LinkedIn profile and get in touch with me. I’m free until June 17th. Would you tweet about your internship? Or about your interns? Can people really use Twitter as a platform to find legitimate interning opportunities?